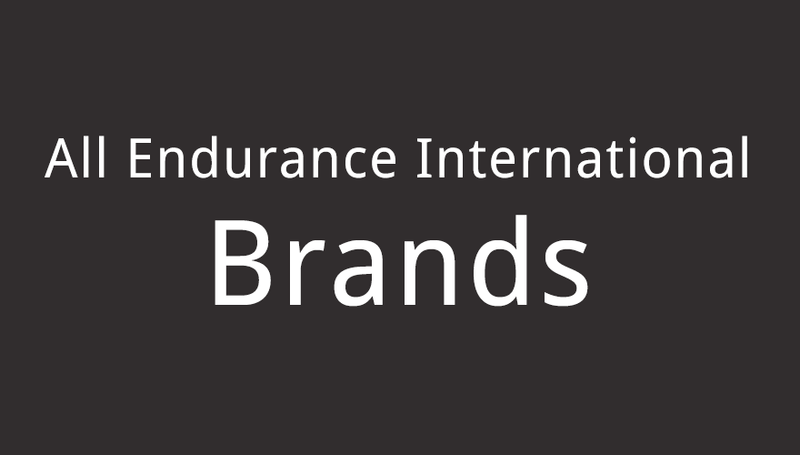 On this page, I’m listing all of the Endurance International Group brands that they own as well as additional information as they come available. In the community, most refer to Endurance International Group simply as EIG and I will also use this acronym in reference to them throughout this site. It should be understood that Endurance has taken over some major brands recently, including Bluehost and HostGator, and these brands still have their same customer support systems in place pre-takeover. So far, from what I’ve heard from people within these companies, everything has been business-as-usual with most customers remaining happy with their host. What has your experience with EIG been? Feel free to leave a review below if the brand in question does not have a hyperlink above. If you see a link for the brand you want to review, click the link and scroll to the bottom to leave a review. Endurance International currently has an “A-” rating with the Better Business Bureau and has been BBB accredited since July of 1999. Their rating is based on their active responses to complaints that satisfies BBB’s standards. EIG currently has 415 complaints over the past 3 years with 124 complaints registered over the past 12months. Their customer reviews summary states that out of 35 reviews for EIG, 34 reflect a negative experience with the company. I’m putting together an EIG purchase history. If anyone wants to assist me with this list, please let me know either in comments or here. I need sources for your information otherwise I won’t include it. Good sources include Wikipedia, validated press releases, and other web hosting news sources (link me, I’ll verify). November, 2014: Completed Acquisition of Arvixe. (Thanks Michael Bely for notifying us in comments!). January, 2014: Completed acquisition of Directi. July 2012: Endurance International purchased A Small Orange which includes HostNine. List updated. July, 2012: EIG purchased HostGator including SEO Hosting. December 2010: Bluehost, HostMonster, and FastDomain sold to EIG. This transaction was done quietly with no major press releases. A Jan 5th, 2011 a news report verifies EIG owns them. Another source I used for this was on a YouTube video of an interview between CloudFlare and David Gardner, Senior Product Manager of Endurance International Group. This interview is very informative about EIG’s plans for their recent acquisitions of Bluehost and HostGator. iPage Ultra-Cheap Hosting – New sites with limited need for databases. Great for getting started, establishing a site, and becoming profitable before moving to a premium business hosting provider. It’s only $47.40/year and includes 2 money back guarantee policies to claim a refund if it doesn’t work for you. Since it is all likely on the same servers anyway, you may as well pay the cheapest price to try it and iPage is, by far, the cheapest brand they offer hosting on. HostGator Premium Hosting – If you need better reliability or feel your site will have a lot of traffic once established, the best EIG brand is HostGator. Use coupon gatoroffer on the “Baby” shared hosting plan and have your first month of service free to make sure the service is right for you. I continue to see people recommending and loving their service in 2013 and don’t see that changing anytime soon. This post last updated: September 21st. 2014. So glad to find your post in my research! My website which is hosted by HostGator was recently hacked. The IP address of the hacker belongs to someone in the EIG office in Burlington, Mass. I am not sure if this is the employee themselves or if EIG server was compromised. The hacker is getting past my security plugins and past changed passwords. I assumed my site is not the only one that has been compromised but can not find confirmation of this anywhere. Tonya, it is very likely the server was compromised with the changes to your site being made directly from the compromised server. Anyways, glad to be of assistance! They do strange things. They upgraded one of my client sites to WordPress 3.6 without even me being aware. Then the site was down for 3 days. On behalf of my client I called them and they wouldn’t even acknowledge that the wordpress was upgraded by one of them. Lol, they’re housekeeping to avoid security breaches by the senior guys and the support people won’t even know. But it’s a good thing to upgrade by yourself first anyway! Could also be their SiteLock scam. Apparently HG no longer do malware scanning – they sub it out to ‘The worlds number one security company’ SiteLock who can find ‘malware’ in an empty folder or on a clean site. $300 to remove it and an annual fee has netted them $22m in 3 years from novices. SiteLock wanted to send a tech onsite to fix malware defined as ‘website code’ that has no filename. Simply unbelievable. I’ve been in computers 40 years and their lines were written by the Nigerian branch for certain. I had a lot of fun at their expense but it’s still dishonest, not to mention illegal to allow anyone to access my sites without my permission. HG had little to say about it. Obviously I ran away quickly. Avoid ANY EIG owned company as they are all doing it. $100 a year shared hosting becomes a +$1-400 extra annual profit from the SiteLock scam. also note that A Small Orange (asallorange.com) is also part of EIG. Found this blog after the major Bluehost and Hostgator outage today. I wish I had this info before I went with Bluehost. They have been good, and CS great, but I am having hesitation to continue using my VPS with Bluehost. Don’t like the big conglomerate deals…any recommendations for a reliable and independent VPS host? Hey Bradley, consider KnownHost as a sound solution. I personally use them and have 2 VPS plans and have had my services through them for years. Their customer service is the best I’ve found. My second favorite that I have 1 VPS through is InMotion Hosting. They give me that small business feel that I love. This reply has links to my reviews on these companies if interested. We use A Small Orange and have had no issues. Good support, uptime has been great. Just cause EIG owns them doesn’t mean they are not doing a good job at hosting. You absolutely right, but I’d say you just got lucky. I had clients with Bluehost, Hostgator and Hostmonster – all owned by EI. I had lots of issues. And that is polite way of saying it. A Small Orange did say to me that they are still independent in how they run business although EIG owns them. In fact because of articles like this they got slammed with tickets with clients frustrated about such information. This conversation happened when our VPS experienced a downtime. Since I left HG I am always prepared to move to another host provider. I have an external backup service not tied to my hosting. Has anyone looked at siteground? See I have learned a couple of thing throughout the years. 1. Don’t buy your domain from your hosting provider. 2. Don’t rely on your hosting provider to keep backups. By not having my domain tied into my hosting package (ie free domain with this package), I can move my sites fast. I know of instances where an domain tied into a hosting package can be a nightmare. By not relying on my host to keep it backed up I can move and restore my site fast. Again I know of instances where the host did not have a backup when I needed it. I know they are most likely telling me story to keep my business but I am a smart cookie. As soon as I can find a good alternate provider with the same friendly service I got at ASO then I will move my stuff off. Agree. Have Bluehost for last two years. I regret that moved from Godaddy. Will be switching back, or look for some other host service. My knowledge in this field is very limited. But on a few occasions I called Bluehost, I had a feeling that whoever I spoke to had even less knowledge than I did. Apparently GoDaddy has been reducing the resources they allow per customer on shared hosting… and in my experience, they have more downtime than any other host I’ve been with. Their customer service is great, though. I had StableHost for a bit and they’re reliable, but I moved to Siteground for research purposes. I like Siteground very much, but I’ve only been with them for a few months. We also use InMotion and they’re great, but a little more expensive than the usual. I work for an agency and we manage/maintain around 15 websites. I am currently looking for a new web hosting company to move my 100plus clients and 4 reseller account too. I was mortified when I found out HG sold to EIG. 10 years ago I had the worst experience of my life with Ipower web hosting when EIG bought them. It was hell, truly hell. Never have I had such a long drawn out terrible customer service experience as back then. I had no idea HG had sold until today’s huge outage. I had been getting lots of complaints from people I had referred to HG recently and all these outages have been nuts, I kept telling people HG is not like this, they are so caring and people have been telling me how bad the customer service has been and now I found out why. I have to find somewhere to move my business. I don’t see the acquisition as a good thing. Especially considering recent outages. Not a big fan of one company owning many brands. This can be seen as somewhat deceptive. Especially if someone switches hosts due to poor service. It’s like they have a monopoly. This is not good for anyone. Agreed. They just basically trying to dominate the market, once they achieved it, they wouldn’t care about their services anymore..
Tim, if you read the very last sentence of that blog post, it was an April Fools joke. Just to be clear, Endurance does not own Dreamhost. Run as fast as you can from any hosting co owned by EIG. They bought Hostgator from Brent for 225 million and moved all the servers to their crap hosting in Provo Utah. They also bought Bluehost. Go to their Wiki page and you will be shocked how fast they are buying all the hosting companies up. It is becoming a monopoly. They had a 3 day outtage this weekend across the board of HG, BH and many other smaller companies they sucked up. And you could not even get through to any CS at all. Nightmare status all the way. I am looking for new hosting for my 200 plus clients now. — That is my conclusion as well. I’m not one of them. I got a glimpse of what HG was when they had Datacenter in Houston and it was great. Then they moved their regular customer accounts to Provo, Utah (same datacenter that is used by bluehost) and then the network latency increased significantly. It is a bit funny…. I live in Canada and for me the service was much better when it was far, far away in Houston then it is now, when it is a half-way closer in Utah. If I had an easy way of moving all my clients off HG and take them somewhere else – I would do that for sure. P.S. I linked your article from my blog (here – http://skylark-studio.com/debunking-the-myth-of-independent-hosting-reviews/). I usually glance through blogs without too much time, but did enjoy reading yours. Great point. I haven’t updated the writing on this page since the major outage and them moving everyone from leased to the Provo DC. Things move rapidly in the hosting world. Hey I am so grateful I found your blog page, I really found you by error, while I was searching on Digg for something else. Anyways I am here now and would just like to say thanks a lot for this informative post about these brands to avoid. Any opinion on WireNine? Shopping around for a non-EIG replacement for HG. I second that, in the process of finding the next good host. Sick of the declining service and hour long support calls. Thanks for maintaining this list. I found this post while looking for recommendations for non-EIG WordPress hosting, and I’m glad I did. I’ve had more than one horrible experience with HostMonster (which I’ve documented here: http://bryanpaulsullo.wordpress.com/2013/11/15/im-back/), and I never want to do business with EIG again. Arvixe was acquired by EIG on October 31, 2014. Thanks Michael, we gave you credit in our update just now. I’ve been with Hostgator for some time, but since the buy out, they have gone down hill. From lengthy outages to support taking much long than it use to. The last support ticket I submitted never got answered, I have to use the live support just to get some assistance, and that took waiting for 30 minutes. And it’s more than support. Since the servers moving, sites are slower and SEO has suffered. Not good. Use to be real happy with HG, but I am in the process of moving. I dread it, but it has to be done. Also i learned iMotion Hosting is a EIG Brand Partner, is that true? Gabriel, I’m pretty sure InMotion Hosting is not an Endurance brand. My research doesn’t turn up anything recent that suggests this either. As a private label reseller of Bizland hosting services, all of my resold accounts are serviced by AccountSupport. Receiving monthly reseller commissions from EIG have been a nightmare since April 2014 and still not resolved and it is now November. They say a new person is in finance and have issues getting up to speed. My reseller account representative is the monkey in the middle with little resolution information as everything is forwarded to the reseller financial disbursement dept. They have absolutely no problem collecting hosting accounts payments though. Be your own judge, but their business relations practices raise bright red flags. All businesses experience logistical issues periodically. The decent thing to do to prove integrity and character and to return confidence and put their money where their mouth is, to compensate those affected financially. Its really a nice article in fact, I left Arvixe though they were a affordable host as I never met any traffic at all, now I am possibly looking for a better host may be? How about Google’s own Blogger??? Our company was looking to change because of down times at our current hosting. We’ve been there for over 3 years. We were excited to get better ram and storage at the same price we were paying from Arvixe. We paid for hosting. Reason for Suspension: TOS/AUP Violation – Fraudulent Payment/Chargeback Issued on Payment. Wow fraudulent payment. How could we be more insulted…our company is issuing fraudulent payments. Then the emails spiral out of control, we get more emails that say they want us back, interwoven with fraudulent payment emails. This company clearly doesn’t understand customer service. No one can pick up a phone. Never were we contacted by ANYONE from this company. All we can think is….Guess what would happen if we had a real problems with their hosting…bunch of emails??????? = lost business for us and our customers. How much does it take to acquire a new customer? How much does it take to retain a customer? How much time does it take to make a phone call and work out the issue? How much does it take to do damage control at a pissed off customer? Now I understand…it’s the way EIG runs their business. We tried to use iPage for about three months. We had nothing but aggravation with lost/delayed emails, and reading the headers, it always resolved to some hosts in the EIG infrastructure that were sitting on emails for hours or days. We spent countless hours working with them to resolve the problem. We were told it was a volume issue (we send maybe 100 emails per day) and a number of other reasons. We found their first level support staff completely unknowledgeable about email (MUAs and MTAs) and totally useless. Don’t understand why AOL, Yahoo, Gmail, and everyone else who provides email for free can usually deliver email close to instantaneously and these guys charge for their service and can’t deliver mail for hours or days, if at all. We are in the process of migrating all of our domains off of iPage to an independent hosting company where the techs are much more knowledgable. Has anyone used TD Web Services? I had used various hosting options for my different websites with frustration all over. downtime, poor customer service and “limited” unlimited plans. I got fed up and shelved the sites for about six months as i looked for hosting providers. My friend discovered TD Web Services. I feel like their services are world class. Especially after my disastrous beginning. I am in the process of moving my other sites. I like that i am in love with their support! I am not techy and i always get support fast and step by step guidance that i understand. Maybe you can check them out and let me know if there is something am not seeing? A review of them would be great too if anyone is working with them. Stay far FAR away from any hosting company owned by EIG. MDDHosting is an excellent company to use for all of your hosting needs! We have been with them for a long time and they have never ever been down. Their customer service is the best and they respond to your questions extremely fast! You can pay monthly and you can cancel anytime. Their monthly prices are the best on the internet. Give them a try. I can not get anyone to answer the phone. All calls go to voicemail. They have not replied to my email either. I’m trying to transfer a domain from them….sheesh. Very annoyed. they have selected security level to be medium or high. I would recommend to keep it low to ensure visitors from all part of the world will be able to access the site and doesn’t have to face the issue. You can learn more about Cloudflare security here. Hahaha it looks as though the wiki list of brands ran by EIG has been deleted or erased… I had that page bookmarked long before ever reading this post and used to reference it any time a client wanted good hosting – I’d tell them any EXCEPT the ones on that list! Yes stay far away, really. I’m currently an arvixe customer (not for long), and I’ve noticed (I don’t can believe that it is a coincidence), that their service is enormously worse recently, after the acquirement of their company by EIG. After a very negative period in the latest months, with frequent problems of time loading, and websites very often offline (try to working on on my websites had become a nightmare), during the last two days they have started a “server migration” (a strange server migration, moving my account from a server to another, then moving it again on the first), without any notice, putting all my sites offline, and getting lost on the street an SSL certificate . Obviously, I’m transferring all my websites on another host. Yes, stay far away by the EIG’ web hosting can really be a very good idea! Anyone else notice that 3 of the top 5 recommended hosts here at WHC are on this list? Yeah, it’s like that. As a long time BH customer, I’ve seen the degradation that comes from running “independently” under the EIG umbrella: extended outages, increasingly incompetent support–who don’t know the difference between a file and a database, and changing the TOS without notice. I’ve had at least 3 pending suspension notices over the last year although my usage had not changed. Once it was too many database tables. The number hadn’t changed in 3 years. Then I had too many directories. Again this hadn’t changed in years. I can’t even remember what the third one was any more, but it was more of the same. Why don’t I switch? Because I read the TOS for the other, non-EIG providers as well. For my limited needs, they all have similar catches buried in the small print. The details vary, but for my very limited needs, they all have limitations that make them as bad as the ever-worsening EIG properties. Admittedly, this site needs an update. Most of my work has gone into Top Five Advisor which has the following best web hosting page that features only 1 EIG host, of which is A Small Orange, a host that doesn’t quite get the hate that their other brands have. I put them in there for those that need ultra-cheap hosting, because it is good for that. All of my research EIG supports the warnings here. I am especially disturbed by the allegation that EIG staffers or surrogates keep deleting from Wikipedia the list of EIG-owed web hosts. Does anyone know anything about OLM.net? I have been with them (originally at parent Webxxxs) for more than a decade with wonderful performance and outstanding customer support. Within the past year, the quality of service has dramatically eroded. Lots of downtime for the web and email servers. Cannot get tech support to answer the phone any more, either. Their behavior lately reminds me of the complains about EIG-owned companies, so has OLM been acquired? Just a heads up… Host Gator hosting has totally gone down the tube. It used to be GREAT. Now they have idiots for tech support. (the last guy asked me the url to the site control panel… that’s when you know you are in trouble!) They respond to support tickets after DAYS with total hogwash. It is very sad. I have been with them for years but will be looking for new. I suggest you revisit this article as Googling any of EIG owned service plus the word ‘complaints’ i.e Bluehost complaints -will open your eyes to many, many disgruntled customers. After doing several hours of research it became apparent that EIG is a cancer that infects once great companies with deteriorating health in customer service, online performance, features and support. I have used your list (thank you) as a source for hosting companies to avoid as I leave EIG owned Powweb (which has gone to hell in a handbasket) in search of a non EIG service. The more I look into this the more I am thoroughly disgusted by EIG. I can’t say for hte other companies, but ipage is the worst i have ever had an account with. I have had a couple accounts with Host Gator, one for over 10 years. Customer service was quick and thorough. Now it is atrocious. Our site was hacked and I spent several hours trying to clean it up. HG support FAQ says to submit a ticket and they will run a scan. Two days later I get a ticket update that says they don’t run scans anymore but I could pay them for the service. Following that I had another attack and had removed and was reinstalling our WP install. HG blocked our site. I submitted another ticket and waited three days for a response. They said I had exceeded our SQL requests. WTH! STAY AWAY FROM HOST GATOR. I assume all of the EIG (Borg) acquired hosts are now only into increasing revenue and no longer provide support for their customers. Sadly, I have a client who I recommended use Arvixie. There have been significant downtimes, frequently multiple times a day. I too wish I had known my company was owned my EIG before I signed on there. I’m with Arvixe and my experience has been terrible. My site has been down for 1 hour+ stretches 5 of the last 6 days. During that time I’ve had 7 CS tickets issued to me but zero follow up and zero answers. I DO have dozens of complaints coming in from my readers. I’m spending this morning looking for a new service. To all who get this far in the comments… stay away from EIG. Was with Arvixe for over 4 years — good service, good support then came April/May 2015 support was not as good, problems with getting email to load using the Arvixe webmail. Sent support requests and at least got some reply but nothing fixed. Fast forward October 2015 — NO EMAIL received or sent from standard email accounts on Arvixe hosting for 5 DAYS. Email accounts with dedicated IP addresses are still working but now we are not sure for how long. Have sent 5 support requests and have been on the phone on hold forever — NO RESPONSE AT ALL in 5 days. Only good thing, my contract with Arvixe is up in 4 months — will just eat the loss and move on. Rebuilding websites will be costly and time consuming, downloading and storing all emails from account will be time and data intensive. Lesson learned — will try to go with a BIG NAME hosting company that has nothing to do with EIG, will pay double to another company. A BIG THANK YOU for this list of who/what to stay away from. Endurance International just bought IX Webhosting on November 2, 2015. If you call IX Webhosting about the EIG buyout they act like its a secret. No news on Internet. EIG is violating Federal law because they control more than 50% of the web hosting services in the U.S..
EIG wants to control free speech of the Internet. The Standard U.S. media is controlled by the same Agenda, they can’t allow free exchange of uncensored information on the Internet. I can tell you that my experiences with, so far, JustHost, BlueHost and HostGator haven’t been stellar. I used JustHost for ~ 2 years with little or no trouble. Last week the server my site was on went south (it’s a shared server, can’t afford the time & money for VPS). This was on JustHost – they said that they wouldn’t move my site (and the others on that server) to a new server and my only option was to go to another host. They then recommended their ‘sister’ company BlueHost – why would I trust their recommendation? I tried submitting a form to transfer my site to BlueHost and even the form didn’t work after I submitted it. I didn’t hear from them though they claimed that they emailed me; then they wanted my site info, including pwd, via email. I asked them to confirm they received my email – nothing. I know that HostGator used to be good but not so sure now – if they’re using the same server farm in Provo, UT as JH and BH. Does the promised 99% uptime matter if your recourse is only a refund, not a working site? They don’t care if you get burned because as Barnum & Bailey knew, there’s a new sucker born every minute. I was wondering if you are still happy with InMotion? All of the most recent yelp reviews tear them apart. I am in serious need of web hosting. I signed up for Arvixe last year when they had great reviews everywhere. They were fantastic at first. Last fall until now, they have been a nightmare. Downtimes are horrendous and customer support is almost nonexistent. I looked into InMotion and the reviews sound like they are having similar problems now. I know that Arvixe’s problems coincide with them being bought by EIG. I don’t know why the sudden plummet with InMotion. I am also looking into GoDaddy. Do you or anyone else recommend them or is there someone else I should seriously consider. Sonny, yes, for what I use them for, WordPress sites, I love InMotion to this day. I haven’t had any issues. Most hosts have a ton of complaints because there’s no way they can keep everyone happy. You usually only see the bad side of each company because people like to go online to complain. Just the way it is. I would never ever recommend any host of EIG Intl to anyone. After 3 years in web host hell with a company that I have been with for 9 years, I am calling it quits with these idiots at EIG where the dollar is more important than the customer. I was using WebHostFive.com (WebHostFive, LLC) to self-host my WordPress site and was satisfied with them, until they went offline and completely disappeared a couple of months ago. I wouldn’t be surprised if EIG had a hand in it–but not sure. I’m going to roll the dice and go with InMotion. EIG also owns Constant Contact marketing software. We might want to consider how much private business data, communications (email), and personal information (of your clients) have been stored on EIG owned servers, and multiply that by millions of websites. Now imagine if you had access to all those servers, and ran a simple ip address search, or a password search. That might be a clue as to why they have no customer service. Maybe they are just not that interested in you. Maybe they are more interested the private data you provide. Just another former Host Gator pawn.